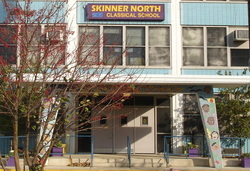 At Skinner North, teachers use two programs to lead their class. Responsive Classroom is a teaching method that emphasizes social, emotional, and academic growth in a strong and safe school community. Second Step curriculum is a classroom-based, social-skills program for children 4 to 14 years of age that teaches socio-emotional skills aimed at reducing impulsive and aggressive behavior while increasing social competence. Classroom approach is informed by the work of educational theorists and the experiences of exemplary classroom teachers. 4. To succeed, academically and socially, children need a set of social skills: cooperation, assertion, responsibility, empathy, and self-control (C.A.R.E.S). 5. Knowing the children we teach, individually, culturally, and developmentally, is as important as knowing the content we teach. 6. Knowing the families of the children we teach and working with them as partners is essential to children’s education. 7. How the adults at school work together is as important as their individual competence. Lasting change begins with the adult community. Gathering as a whole class each morning to greet one another, share news, and warm up for the day ahead. Helping students create classroom rules that allow all class members to meet their learning goals. Teaching children to notice and internalize expected behaviors through a unique modeling technique. Using words and tone to promote students’ active learning and self-discipline. Responding to misbehavior in a way that allows children to fix and learn from their mistakes while preserving their dignity. Introducing materials using a format that encourages creativity and responsibility. Increasing student motivation by differentiating instruction, and allowing students teacher-structured choices in their work. Setting up the physical room in ways that encourage independence, cooperation and productivity. Hearing families’ insights and helping them understand the school’s teaching approaches. 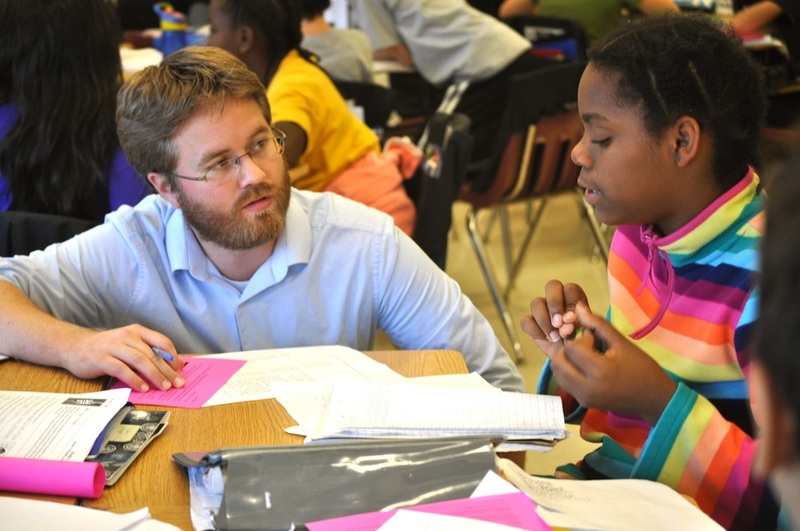 Using conferencing, role playing, and other strategies to engage students in problem-solving. Second Step teaches children to identify and understand their own and others' emotions, reduce impulsiveness and choose positive goals, and manage their emotional reactions and decision-making process when emotionally aroused. The curriculum is divided into two age groups: preschool through 5th grade (with 20 to 25 lessons per year) and 6th through 9th grade (with 15 lessons in year 1 and 8 lessons in the following 2 years). Each set of lessons covers empathy, impulse control, and anger management in developmentally and age-appropriate ways. Group decision making, modeling, coaching, and practice are demonstrated in the Second Step lessons using interpersonal situations presented in photos or video format. Classroom Guidance lessons are taught to the whole classroom in the general education setting. Guidance lesson topics are based on the specific needs of each classroom as determined by teacher, administration and student-needs assessments. Previous Classroom Guidance topics have included Bullying, Kindness, Learning about Feelings, Organizational Skills, and Teamwork. Small Group Counseling: Small groups of students (between 4 and 7 students generally) may meet with the Counselor for short term weekly counseling sessions. Student participation in these groups is always voluntary and students are chosen either based on teacher recommendation, parent recommendation or through student choice. Parent permission is required for students to participate and new groups are formed throughout the year. Small group sessions last 30-45 minutes and meet once a week for 5-7 weeks at a time deemed appropriate by the classroom teachers. The demographics of the groups may vary from heterogeneous (all boys or all girls), mixed gender groups, same age groups and mixed age groups. Small Group Counseling sessions are bound by confidentiality laws and specific details about what is covered in these sessions is not shared with teachers, parents or administration, unless it is determined that a child is a danger to themselves or others, or that someone else is endangering them. Small Group Counseling topics have included Divorce/Grief, New Student Orientation, Behavior Management Groups, Friendship Groups, Girls In Real Life Situations (teaching girls important friendship skills and confidence), and Social Skills Groups. Individual Counseling: Students may need to speak with the counselor individually to address issues that are interfering with their academic success. Individual sessions are intended to be short term interventions, and students meet with the counselor weekly for no more than 5 weeks. Teachers, administrators and parents can refer a student for individual counseling by contacting the counselor. Students can also self-refer using the referral box found outside the counselor's office. Individual Counseling sessions are bound by confidentiality laws and specific details about what is covered in these sessions is not shared with teachers, parents or administration, unless it is determined that a child is a danger to themselves or others, or that someone else is endangering them. Parents will be notified if their child is seen by the counselor, and parent permission will be required if the child needs to see the counselor on a recurring basis. If a child requires long term counseling, the counselor will provide parents with a list of outside referrals at their request. In addition to direct services to students, the Counselor is also available for parent and teacher consultation and collaboration by appointment. You can also visit Ms. Jacobson's website for additional information.